By adding bruises and black eyes to photos of celebrities, artist and activist Alexsandro Palombo aims to highlight the widespread nature of domestic violence with his "No Woman Is Immune From Domestic Abuse" project. "Domestic violence is a social cancer that knows no boundaries nor social status; it can affect anyone, whether you&apos;re an ordinary person or a celebrity," Palombo said, according to the Daily Mail. The campaign aligns with the International Day for Elimination of Violence Against Women, which was Nov. 25, according to the United Nations&apos; website. In addition to emphasizing the negative effects of domestic violence, Palombo aims to encourage abuse victims to break their silence. 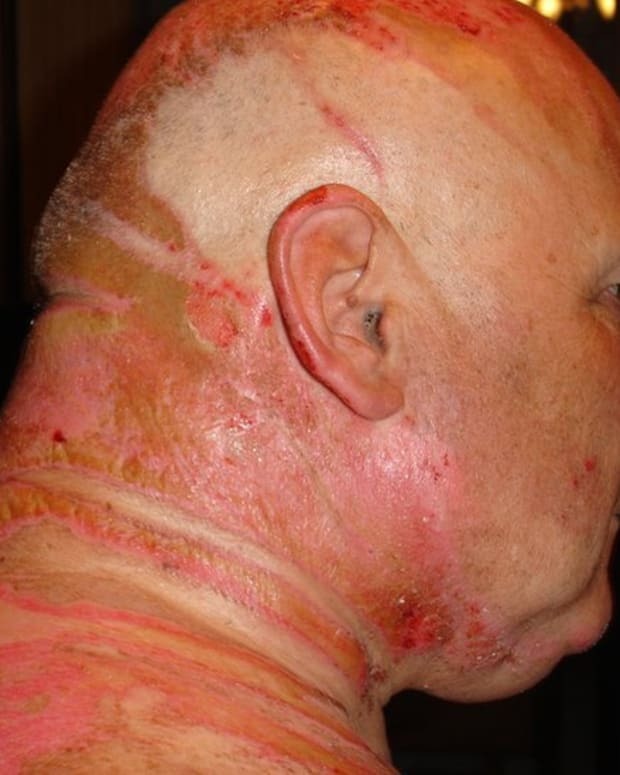 "The biggest accomplice of violence is the silence, a silence which every year kills or causes permanent disability -- more than diseases or accidents," he said. Palombo is known for using art to raise awareness about political and social issues, News Corp Australia reports. In honor of the 70th anniversary of Aushwitz&apos;s liberation earlier in 2015, he drew emaciated Simpsons characters as Jews in the camp. 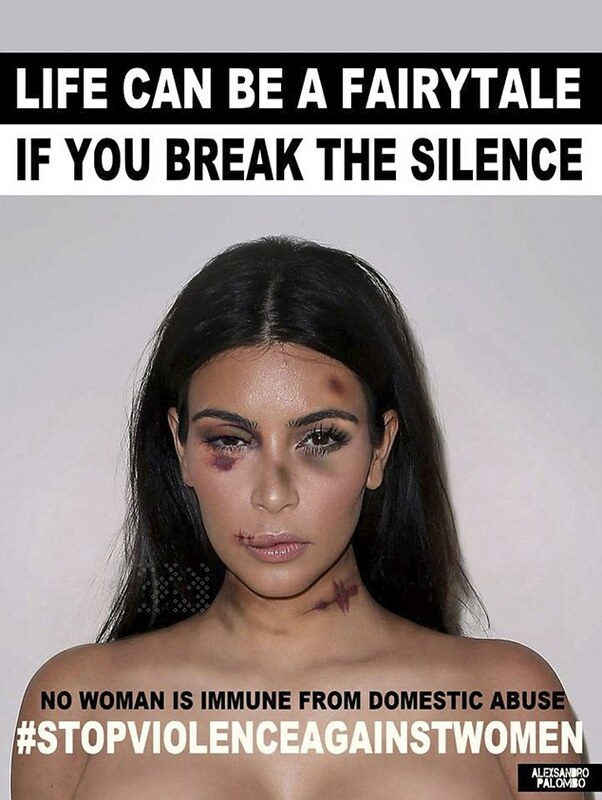 For the domestic violence campaign, bruised and battered headshots of Kim Kardashian, Emma Watson, Angelina Jolie and the like are accompanied with a banner that reads, "Life can be a fairytale, if you break the silence." The hashtag #StopViolenceAgainstWomen is also included. 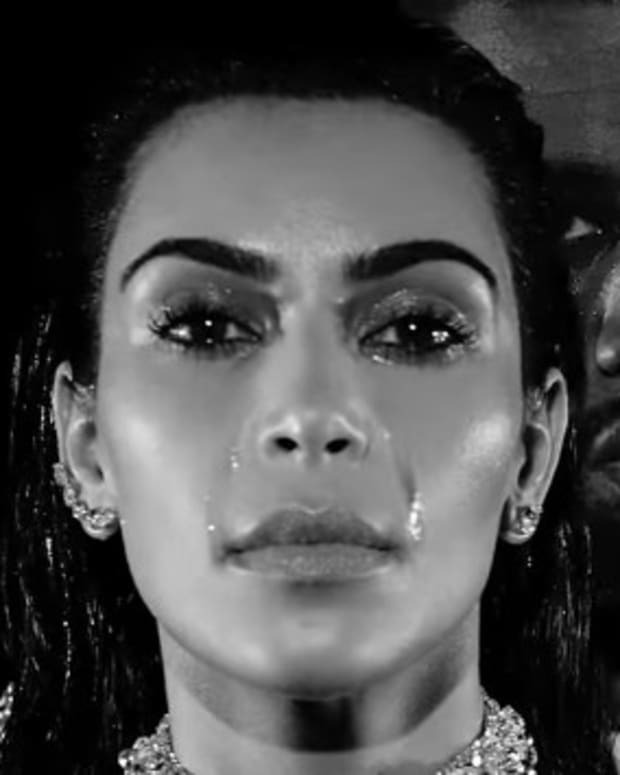 The bruised photo of Kardashian may be closer to depicting reality than the others, as she was allegedly abused by music producer and ex-husband Damon Thomas. According to court documents, Thomas punched Kardashian in the face, slammed her against walls, forced her to quit college and jobs, and would not let her see her friends and family, the Daily Mail reports. "Damon decided what we would do and when we would do it," she said. "He was very much the King of the Castle." According to UN Women, an estimated 35 percent of women worldwide have experienced either sexual or physical violence at some point in their lives. However, that number could be higher as some national studies report up to 70 percent of women have experienced physical and/or sexual abuse.